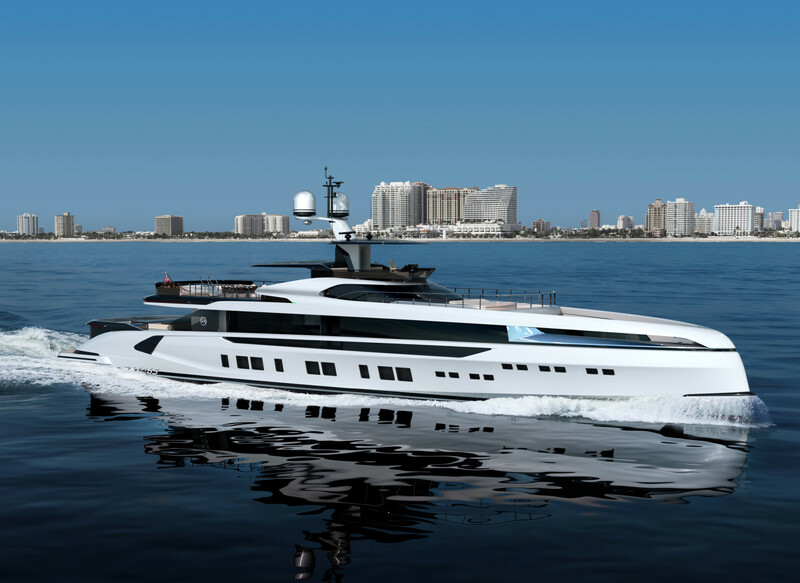 The GTT 165 is the largest Dynamiq model yet. 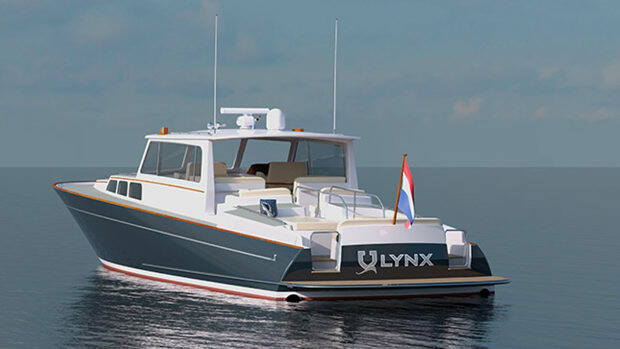 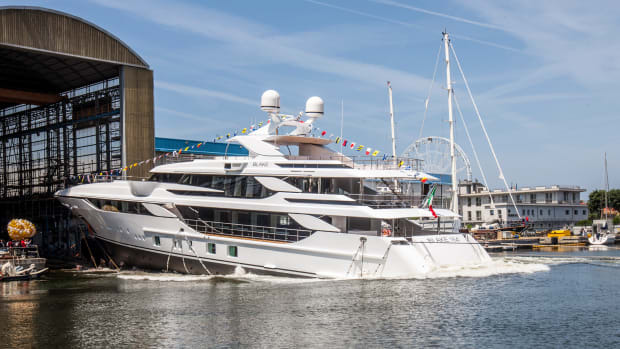 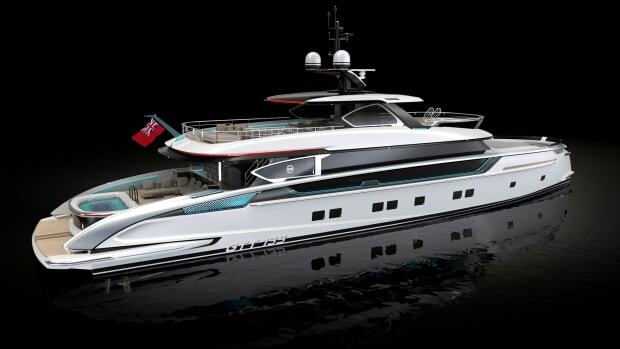 She was designed by Dobroserdov Design with a fast-displacement hull by Van Oossanen in the Netherlands. 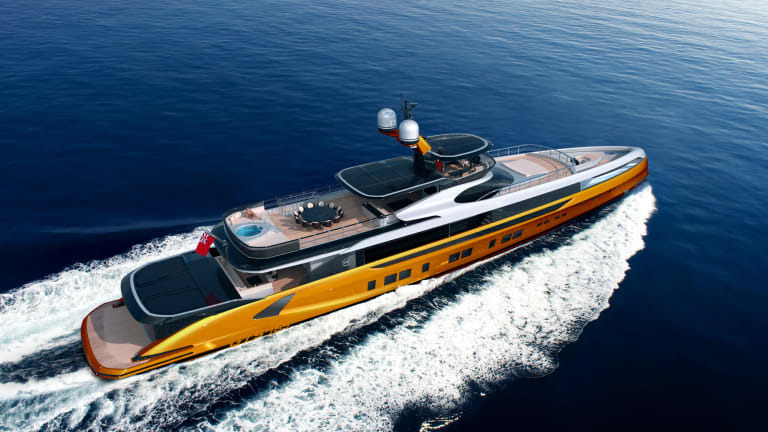 The design includes two underwater foils: an aft hull vane and a forward T-foil developed in association with U.S.-based Naiad Dynamics. 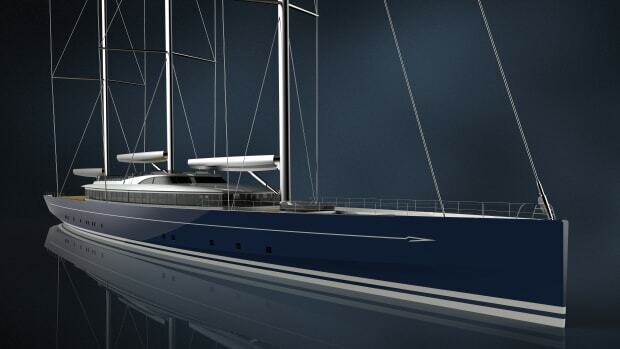 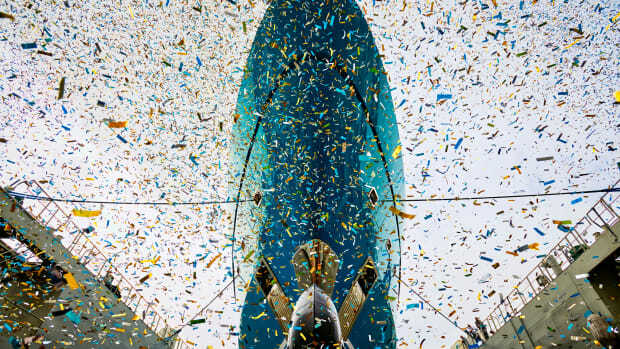 As the yacht accelerates, the foils lift the hull, decreasing drag and increasing speed. 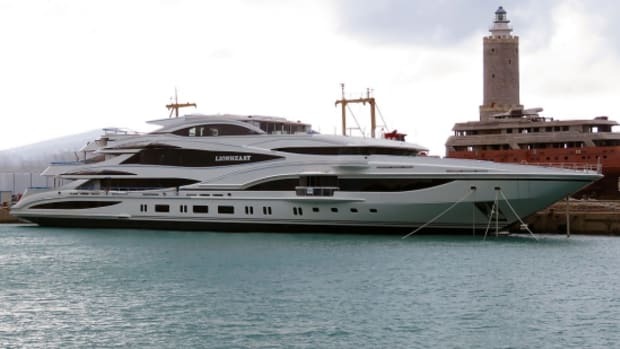 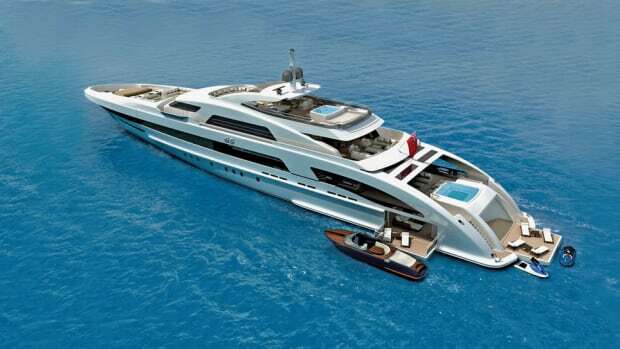 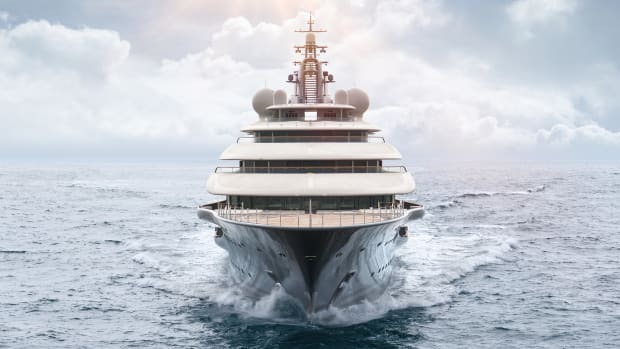 The yacht accommodates 12 guests in a five- or six-stateroom layout. 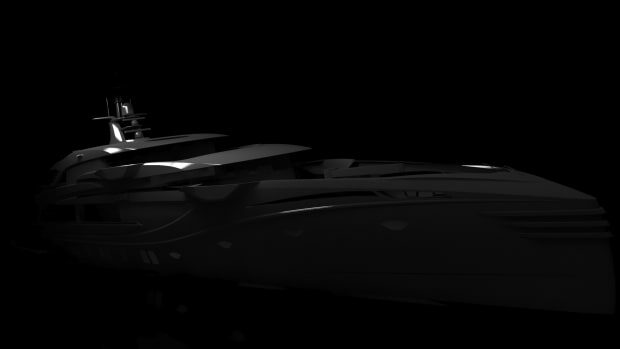 There are quarters for nine crew.